Migrant entrepreneurs can have a profound effect on their communities; they create jobs for local workers and growth for the wider economy. Yet, with media narratives reinforcing the popular notion that immigrants come to the UK to take our jobs and claim welfare, the story of migrant entrepreneurs is little understood and rarely told. In the run up to the European Parliament elections in May 2014, this campaign sought to address the deficit in our understanding of this important issue, celebrate the contribution of migrant entrepreneurs to the UK and examine how the implementation of policies to attract new migrant entrepreneurs can be improved. conducted polling through YouGov to identify differences in public opinion towards new migrant entrepreneurs and immigrants more broadly, In January 2014 we released the results of in-depth polling that suggests while the UK public recognise the positive contribution of migrant entrepreneurs and support the government’s efforts to attract them to the UK, a majority of the public still wish to cap their numbers. partnered with financial technology company, Duedil, to uncover never-before-seen data on the numbers of migrant entrepreneurs active in the UK. 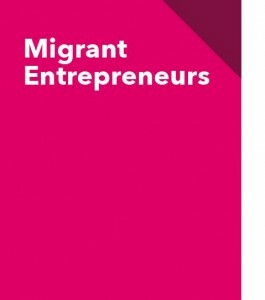 commissioned and published research from the Centre for Research in Ethnic Minority Entrepreneurship at the University of Birmingham – ‘The Contribution of New Migrant Entrepreneurs in the UK’. We are calling upon politicians and the media to join us in celebrating the individuals that have come to this country and launched businesses.